The BrewDog guys are back again, this time promoting their black lager, Zeitgeist. They have set up a blog with contributions from their customers. Another gimmick to promote their online trade? Perhaps. But it’s a good deal in it for you as well. If you order beers and give the promotional code SHEEP, you’ll get a 70% discount. A good price for a good beer. The sheep? You’ll have to go over to their site to read more about that. Zeitgeist takes an age old classic, a forgotten masterpiece and gives it relevance and an avant-garde edge, according to their web site. But right now I don’t feel up to German philosophy. Vacation time. Gimme a beer! Even if I am too lazy to write much at the moment, there are others who seem to be more awake. Check out an interview with Mikkeller brewer Mikkel Bjergsø at the Hoosier Beer Geek blog. -What’s the best beer, then? That’s the usual response I get when I tell people I’m a beer blogger. -It depends, I answer. -There are beers for various occasions. An alternative approach is to say that all beers above the average pilsener are fantastic. Which is almost what Norwegian daily Dagbladet has done today. They have tested a number of beers available in Norway, domestic and imported, and I find that they have been a bit generous with their superlatives. I also question the low scores for Nøgne ø IPA and a few other beers, while I understand that the Mikkeller Beer Geek Breakfast might be a bit too much for some. But, even if I might have objections to some of the scores, this test takes beer seriously, and is so much better than what we usually find in Norwegian newspapers, where the celebrities of yesteryear have strong views on pale lagers. In the present test, each beer style is considered on its own merits, and it is actually something the consumer can take along to his nearest Vinmonopolet store and use as a shopping list. Just returned from two weeks in Sardinia. Some crap lagers, some interesting micros, wonderful food, good local wine. I’ll give you the highlights as soon as I get around to it. The blog seems to be doing all right, publishing itself even with me away. 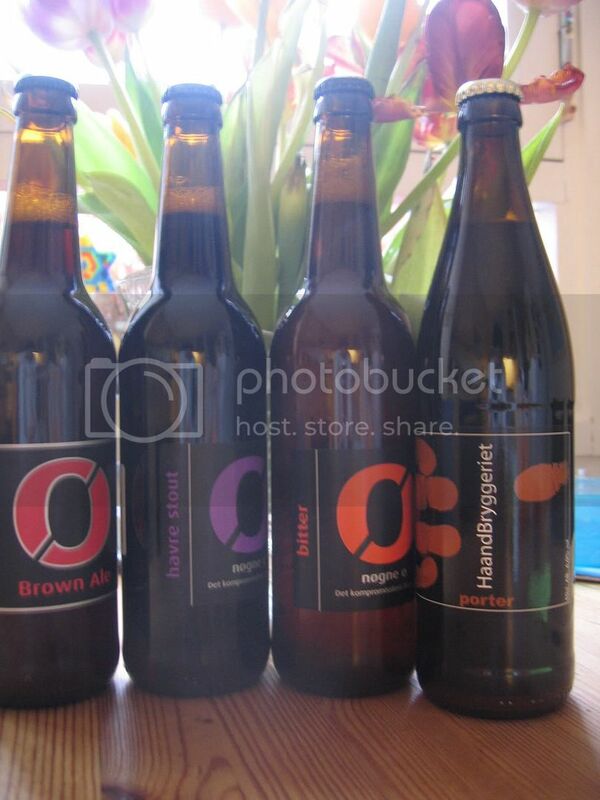 Do you enjoy the series of Oslo beer places? 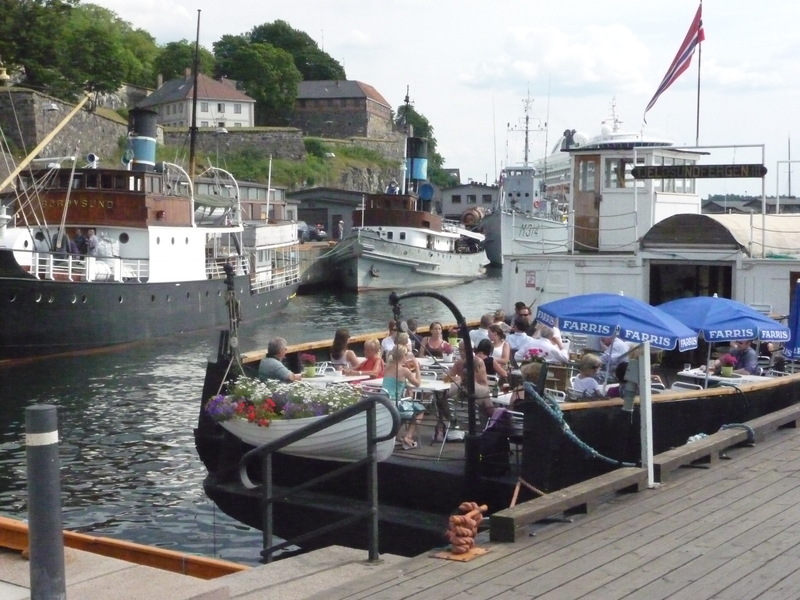 When summer hits Oslo, we behave like lemmings, aggressively aiming for the waterfront. Most of us end up at places like Aker Brygge, an old shipyard turned into yuppieland in the Eighties. It is a mad fight for a table in the sun, the beer is Ringnes at outrageous prices. The alternative is just across the inner harbour, where the sun is not blocked by high buildings. Among other vintage ships and boats, just beneath the old walls of Akserhus fortress, we find Tjeldsundfergen III, which used to do its duty as a ferry in Northern Norway. The menu is simple – hot dogs or peel-your-own shrimps. They used to have interesting draught beers, but now it’s Ringnes pils and bayer on tap. But there is good stuff in the fridge. A dozen German beers from small breweries. St. George, Krauss, Weltenburger. 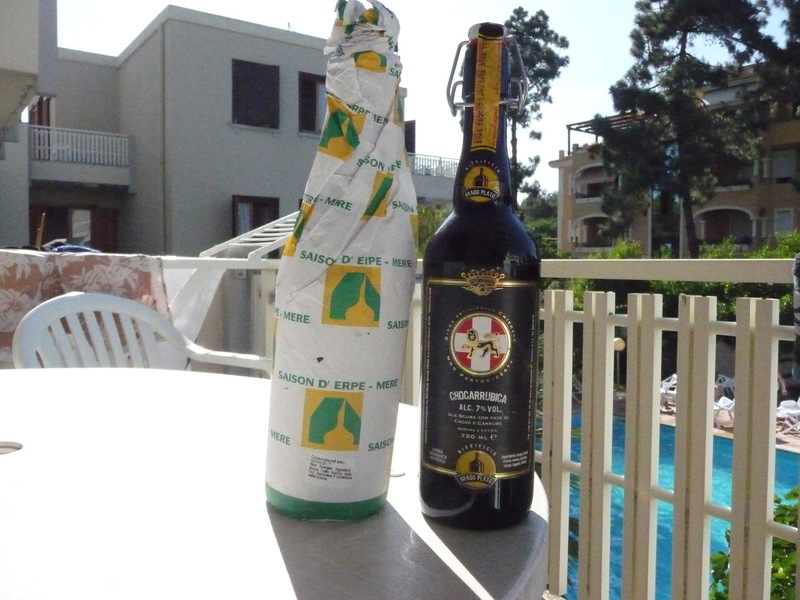 Even two smoked Bamberg beers from the Aecht Schlenkerla range. No credit cards, a good symbol of the contrast to Aker Brygge. Reasonable prices. The clientele? Quite a few smokers. Adults, families, groups of friends. Some serious drinkers. Low life? No, but people who have lived their lives. Opening hours? Dependent on the weather. Time to mention one of the shops selling premium beers as well. While there are a few supermarket chains now selling Haandbryggeriet and Nøgne ø bottles, it is much tougher for other micros to get on the shelves. We are, however, lucky in Oslo. We have a food shop dedicated to the best Norwegian food available. This means game, cured meat, cheese, oils and vinegars, flatbread and sausages, butter and sour cream, it is a great place to stock up. And there are some hand picked artisan beers, too. Breweries include Valdres, Ægir, Ølve and Inderøy Gårdsbryggeri. The shop is Fenaknoken in Tordenskjolds gate, very close to the harbour and City Hall. Eirik Bræk is running the shop, and if he is not too busy, he enjoys a chat about beer and food. He does catering, too.